Kildare House, is the former home of Sir James Williams Woods, a key member in the Canadian lumber industry, he was a prominent financier, and philanthropist who was knighted in 1915 for wartime industrial work and named knight commander of the Order of the British Empire in 1917 for his work as a member of the British War Commission in New York. 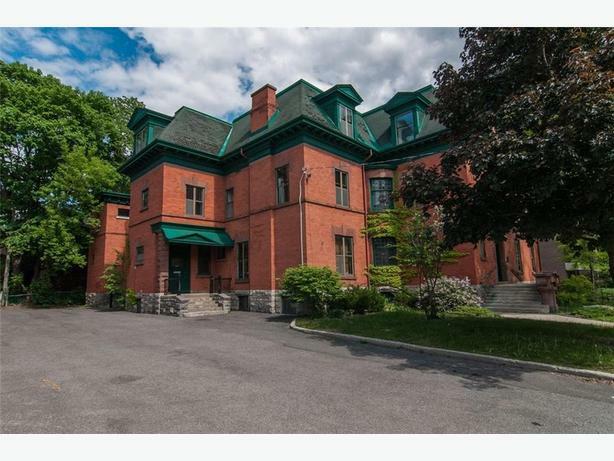 The three storey, heritage home was constructed in 1902 and is now an extraordinary, restored, heritage preserved office building in Ottawa. Our lower level, 901 square foot basement office, currently under renovation, can be tailored to suit our renter's needs. It boasts columned windows, an antique door, a beautifully restored fireplace, and hardwood/carpeted floors. Rent starts at $1,800/month plus HST. Outdoor parking spots are available for $125 plus HST. A one year lease with option to renew is available. *	Washrooms with showers on two floors.